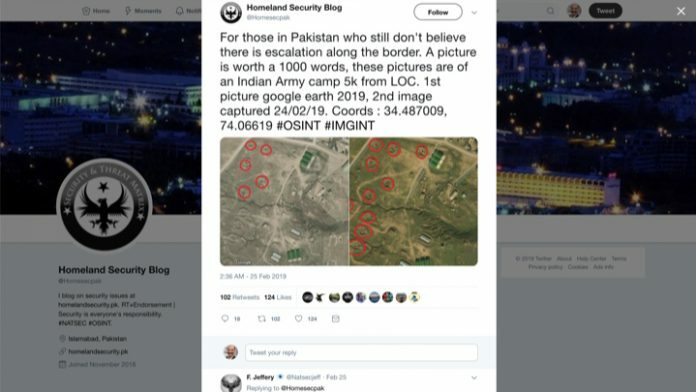 Just before Tuesday’s Indian Air Force strike on a Jaish-e-Mohammed camp at Balakot in Pakistan, when tensions between the two countries were peaking, a Pakistani blog/Twitter handle was adding fuel to the fire by circulating old, inaccurate satellite images and claiming they were of present-day troop build-up by India. 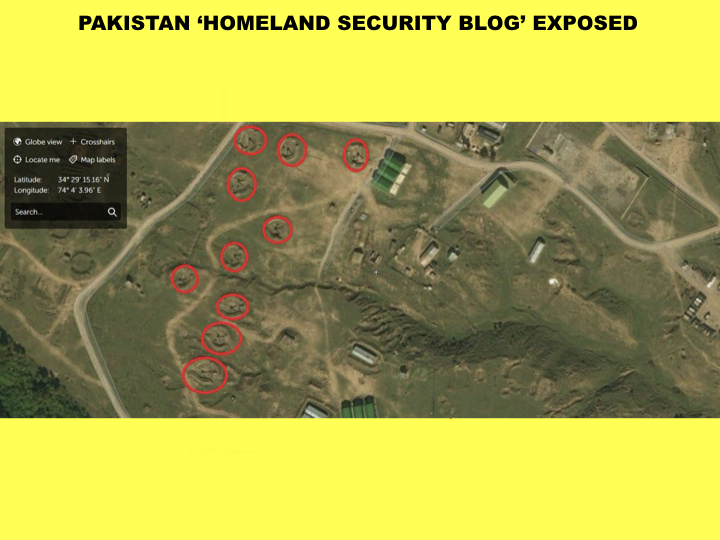 The handle @Homesecblog claims to be running from Islamabad, with its blog hosted at https://www.homelandsecurity.pk. 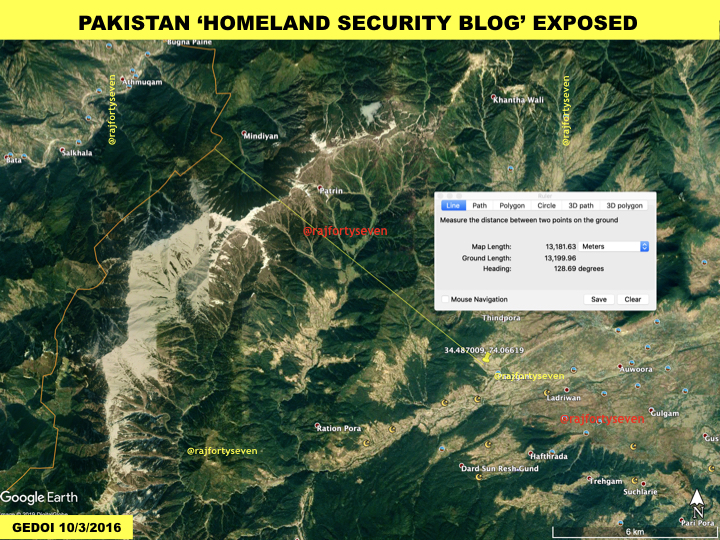 It claims to be a specialist in ‘Security and Threat Matrix’, and has been quoted by Pakistani TV anchors, defence forums and blogs, as well as some Indian forums. A day before the Balakot strike, the handle had claimed that India had ‘escalated along the border’. 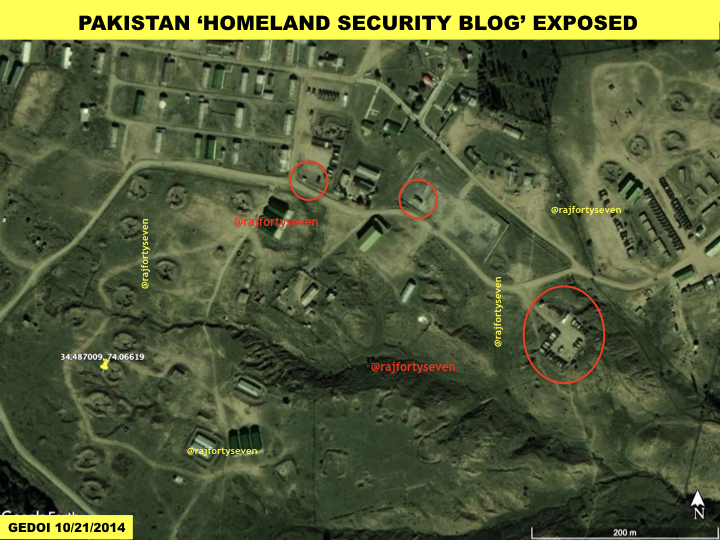 The images it used were claimed to be from 2019, with the second one purportedly from 24 February 2019. ThePrint probed the images, and found that not only were they old, but that the location shown is actually 13.181 km from the Line of Control as the crow flies, and not 5 km as claimed. The “camp” is an old, well-known artillery gun position. 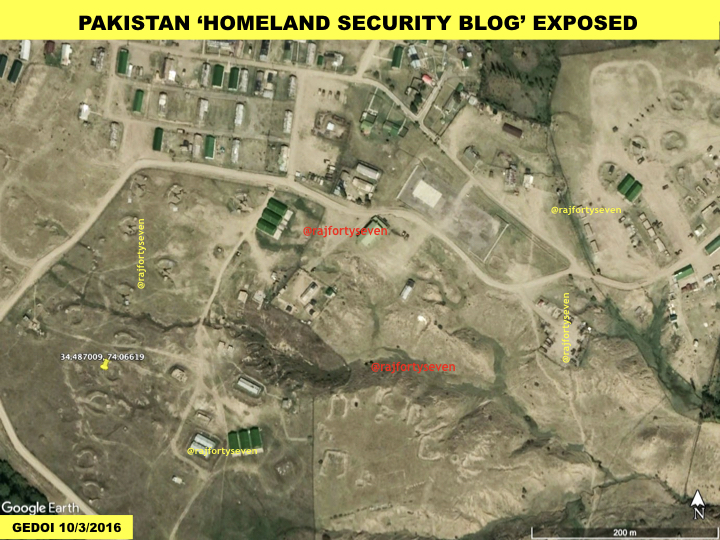 The first image, which the blog claims is from Google Earth 2019, is actually from 3 October 2016. The second, purportedly showing troop deployment from the day before the tweet, was actually taken on 21 October 2014. Tensions between India and Pakistan have risen since the JeM terror attack that killed 40 CRPF personnel in Pulwama, Jammu and Kashmir, on 14 February. 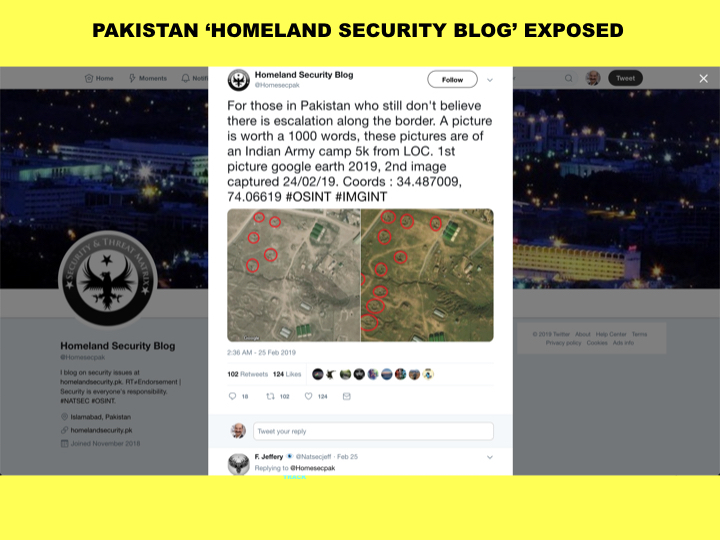 The handle seems to be part of an attempted disinformation campaign to generate hysteria among the Pakistani public and create panic among the international community. 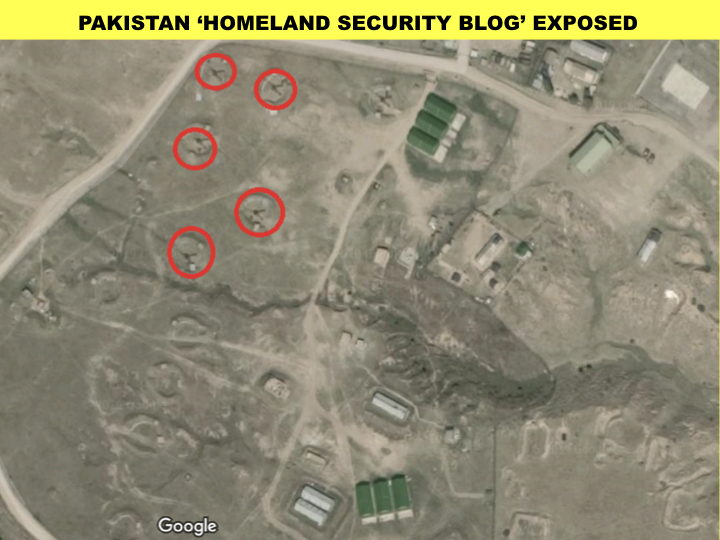 India struck the JeM’s Balakot camp in Khyber Pakhtunkhwa province early Tuesday, calling it a “non-military pre-emptive strike” that eliminated “a very large number of JeM terrorists, trainers, senior commanders and groups of jihadis who were being trained for fidayeen action”.